AS we read the above very important Word of God, we would like to sink the shaft of Truth into the mine of God. This one reference is so profound and deep that we truly are blessed to know even part of the ramifications. Many of us have been to the Zoo, wild animal park, museum or such, where we are escorted around and guided into new things we are not likely to know about. This experience enriches our lives and gives us lasting pleasant memories. In this same vein we know that our Almighty King has promised us a “guide”, a most wonderful Spirit, whose job it is to enlighten and uplift us in His Word. Let us look into this deep subject. We know that every single promise spoken of by our King will not go undone. As such , the promise given in the above Scripture is a “real thing” to those who believe it and are blessed to have it working in their lives. The Elijah message expounds upon it’s importance. “Different periods in the history of the church have each been marked by the development of some special truth, adapted to the necessities of God’s people at that time. Every new truth has made its way against hatred and opposition; those who were blessed with its light were tempted and tried.” — The Great Controversy, p. 609. Accordingly, “when a message comes in the name of the Lord to His people, no one may excuse himself from an investigation of its claims.” — Testimonies on Sabbath-School Work, p. 65. Lay aside all prejudices, self-opinions, and ideas of men who bear not the mark of Inspiration, and who say in effect by their actions: “I am rich, and increased with goods, and have need of nothing” (truth or prophets). Rev. 3:17. “And “when He, the Spirit of Truth, is come,” says Christ, in broader statement of this same truth, “He will guide you into all truth.” John 16:13. Powerful! Ah, so those who are NOT doing God’s will aren’t being led of the Spirit to know God’s true doctrine.This is far reaching! Allow us to give an specific example. Brother P, is a very well studied student of the Scripture, in fact he is often asked to lead out in the local Sabbath School lessons.When asked about the S.D.A Sanctuary truth, or the “Leopard like Beast” his quick to flip the Bible pages and start his discourse. I have personally sat down with him and went over the Scriptures together. Yet of many years of occasional studies (usually around the dinner table during Sabbath lunch) I became dumbfounded how he could not see a plain “Thus sayth the Lord”. In other words, how can the following be mis-interpreted? “Behold I will send you Elijah the Prophet before the coming of the great and dreadful day of the Lord.” (Malachi 4:5). To his credit, at least he did not fight the clear texts as to the meaning, rather he looked bewildered and simply acknowledged his incomplete understanding of it. 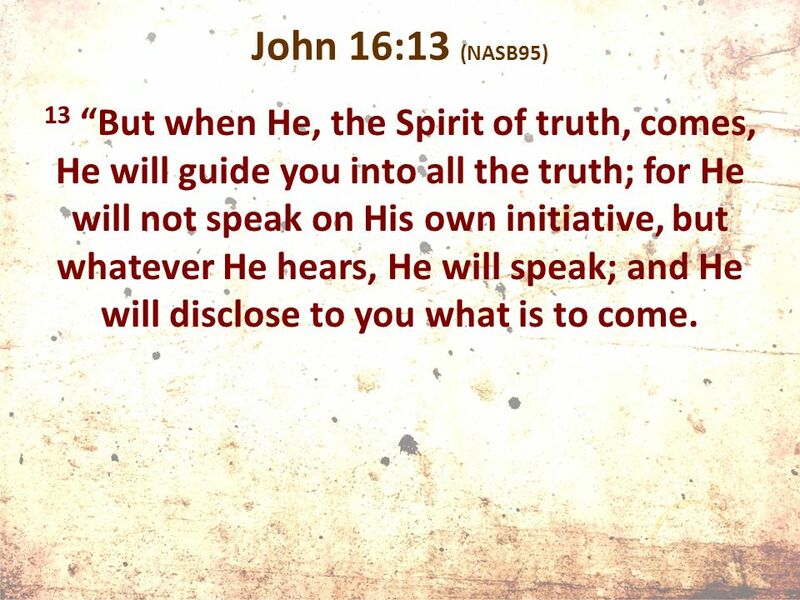 But where is the “Guide”?That Spirit of Truth who was promised those who “do His will”? He has been an Adventist for over 20 years and studied quite a bit. We don’t know, but somewhere somehow It’s not guiding him. Now, for us Adventists where do you think the Spirit of Truth is guiding us today? We just read it- Mal. 4:5. There is a FINAL message to be given us from the Lord’s last prophet to His S.D.A church –“Elijah”. “Behold,” says the Word, “I will send you Elijah the prophet before the coming of the great and dreadful day of the Lord.” To him shalt thou hearken. “And there shall be upon every high mountain, and upon every high hill, rivers and streams of waters in the day of the great slaughter, when the towers fall.” “Behold, the name of the Lord cometh from far, burning with His anger, and the burden thereof is heavy: His lips are full of indignation, and His tongue as a devouring fire: and His breath, as an overflowing stream, shall reach to the midst of the neck, to sift the nations with the sieve of vanity: and there shall be a bridle in the jaws of the people, causing them to err,” “because they received not the love of the truth, that they might be saved.” Mal. 4:5; Isa. 30:25, 27, 28; 2 Thess. 2:10. The church of the Laodiceans, being the last of the seven churches, is the last sectionnof the Christian church in which the wheat and the tares are commingled. The overcomers, the marked ones, from it, those who hear the Rod, begin the eighth section of the church — the one symbolized by the “barn” (Matt. 13:30) and by the “vessels” (Matt. 13:48), also by the “golden candlestick” of Zechariah 4. Of her the Lord says: “…the Gentiles shall see thy righteousness, and all kings thy glory: and thou shalt be called by a new name, which the mouth of the Lord shall name. Thou shalt also be a crown of glory in the hand of the Lord, and a royal diadem in the hand of thy God.” Isa. 62:2, 3. Allow me to briefly explain my views on this “guiding”. It was only when I began to “sigh and cry” for the sins of the church, was my eyes opened. As we know , our current truth message of Elijah tells us to sigh and cry for all the abominations done in the church (Testimonies, vol, 3, p.266-267, vol. 5, p.221-212). And Ezekiel 9. This is now what gets us sealed, along of course with keeping of the Sabbath and His other Commandments. So if one is not truly validating his walk with Christ, obeying His final message of Elijah, then it would seem that the Spirit of Truth is stymied, stuck. This may be why some cannot see what is there in the Scriptures. I am speaking solely concerning Seventh-day Adventists of course. 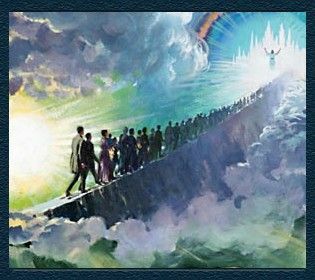 Those without are being addressed in a wholly separate way and according to Scripture await, in most cases, the work of God through His final servants the 144,000. This is known as the Great Multitude of Rev. 7:9. We have heard of the Christian saying “Broken on the Rock of Jesus”. What does this mean? No doubt Peter broke down knowing that after all Jesus did for Him, and Peter giving up his life to follow Him, he pitifully denied His King and Savior right when Jesus was in need of his support. This moment, we believe, caused Peter to lose his prideful self. The broken pieces of self dropped down to the ground, so that Christ could uplift him with the Holy Spirit. Is this our experience? I have posted before my own testimony of being “broken” and would like to share it again. Back in late 2008, early 2009, I came to “know” Christ by picking up the Bible one day and never looking back. After discovering God’s Holy Commandments (specifically the Sabbath) I became a Seventh-day Adventist. But it wasn’t until about two years later that I came to be “broken”. My old self was still alive, although considerably altered and discovering Christ and His Truth more and more as my walk continued. But after those couple of years I started to notice some things within the church (careless Sabbath keeping, Women pastors, etc.) that made me start to think “what is really going on here”? After all we as Adventists tell the world we are the “remnant church”, those keeping the Commandments of God. Yet, away from the world’s gaze , things like eating at restaurants on the Sabbath were common place for the “old timers” in my Church. This began to be quite puzzling to me. I came into the church thinking we were a light to the world in how Christians follow His Commandments. But the big moment came one day about two years after joining the church. I was in a town close to mine and knew there was another S.D.A church in that town of which I traveled by it often in my work. Being happy with my own church I had never went to this church but for some reason I was guided by the Spirit to notice something with this church. I knew that the church has ownership of the whole corner block, as someone had pointed that out to me prior. There were small offices in the adjacent corner building next to the church. One of the offices had a sign saying “Chiropractor”. As I slowly drove by I noticed the phone number on the building. I decided to call it to see if it was open on Saturday. Surely my people, my beloved church would confirm to me its upholding our Sabbath publicly! Confirmation of my people’s dedication was all I wanted. As the man answered I asked him if they were open for business Saturday. He replied “Yes we are, would you like to make an appointment?” Now, imagine a ton of bricks landing on you spiritually. As I hung up I very soon had to pull over. Devastating thoughts going through my mind. There was a big hit from the past called “I’ll never fall in love again” by the famous singer –Tom Jones. One of the lyrics says ” and I broke up all inside”. This happened that day. My beloved church , how could they??? Tell the world to “keep the Sabbath” yet within our own gates break it right in front of the world for all to see! I did as Peter did, “wept bitterly”. But in hind sight this was my “broken on the Rock of Jesus” moment. For never again was I to be the same person. Although I was Adventist, I had not quite had an experience like that before. This prophecy came into true understanding soon after. Unbeknownst to me at the time, I was “sighing and crying” for abominations done in the midst (the church). The Lord began to work His divine plan in my life. About two weeks later I was online and heard a sermon on the 144,000. Ezekiel 9:3-4 came alive to me! Now I KNEW what the Lord’s plan was for me and the church. So clear as to make me literally feel like I was walking off the ground for the next 6 weeks or so! True, it’s solemn yet for those who truly love Christ and His Truth, a most glorious final Gospel proclamation plan awaits! “In the time when His wrath shall go forth in judgments, these humble, devoted followers of Christ will be distinguished from the rest of the world by their soul anguish, which is expressed in lamentation and weeping, reproofs and warnings. While others try to throw a cloak over the existing evil, and excuse the great wickedness everywhere prevalent, those who have a zeal for God’s honour and a love for souls will not hold their peace to obtain favour of any. Their righteous souls are vexed day by day with the unholy works and conversation of the unrighteous. Many of you no doubt have your own story of that special moment. But as SOP says pride, avarice, selfishness, and deception of almost every kind are in the church and as such a vast multitude are NOT broken in our church. Some may find that they get broken bit by bit, beholding the vast sins prevalent among our people. But the fact remains we must get broken, self must be brought down.But once we experience it, we soon find that our King builds us up with His love and plans for us. The conversion is truly established. Such is the good news we heard from one of our sisters in the faith recently. She called and excitingly told us of the Chowcilla S.D.A Church in northern California. 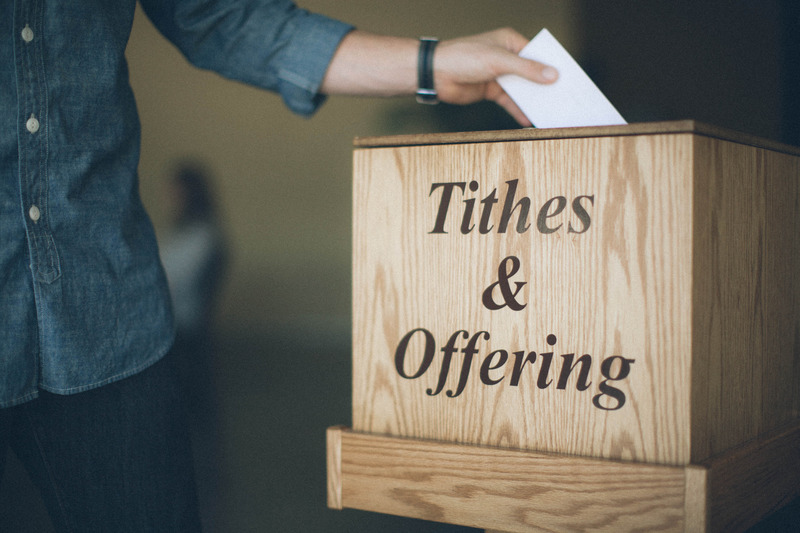 She explained that she was pleasantly surprised when she walked into the church and noticed a Tithe Box secured against the wall for receiving the Tithe donations. She further found out that this church DOES NOT pass the church bag around compelling members to donate. Wow! True reason to say Praise the Lord! “What a privilege and what an opportunity is now ours! Look and see what a difference there is between God’s method for supporting His work, and the Roman system that is now carried on by the church: plate-passing, high-powered speeches, Big Day, Book Day, high pressuring, campaigning, selling, auctioneering, Harvest Ingathering, birthday offerings, Christmas-tree hangings, baby weighings, Dorcas sales, investment funds, and what not! As none of these squeezings are Biblical, and as all of them are Pagan in origin and condemned by the Scriptures, they could not possibly be considered freewill offerings. Search and see. 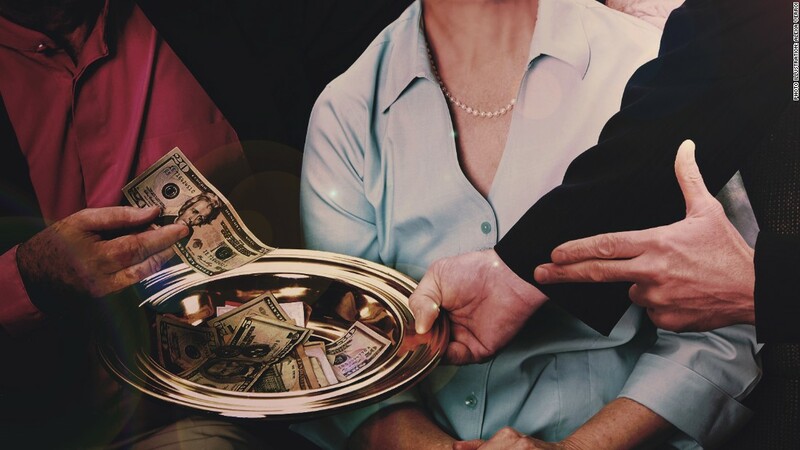 Instead of Sabbath-keeping the day is devoted to money raising, and instead of a house of worship, the church is turned into a den of thieves — disgusting to observers, and most discouraging for a member to invite a friend or a neighbor to a church service. Is there any wonder that God does not now bring many into the church (“Testimonies,” Vol. 6, p. 371)? To be sure, we serve a Holy God. One that is particular and certainly not like us. He has sent His last messenger to us to let us know this bag passing/money solicitation in His house is “condemned by Scriptures” and not considered “freewill offerings”. Yes brethren there is our ways then there is God’s way. Unfortunately Satan specializes in blurring the two! I was once a regular partaker in this bag passing and solicitation of funds every Sabbath, being a deacon who led out in bag passing. For I knew no better, until advanced light came and I could see this issue as the Lord sees it. Isn’t it wonderful when the Lord always gives us an out. Today we have online payment systems which gives ample opportunity to avoid such abomination. You may not understand all there is about it, but that would not excuse you from doing faithfully the little things which you already perfectly know. Start with the A B C’s in the science of reform as you would in a grade school, gradually climbing up the ladder of perfection as you would from the first grade up to a course in a. university. As you are unable to understand in the schools of the world the higher grades ahead of the lower, so you will never learn all the science in physiology or the mysteries in the laws of God from its heights down or all at once. Moreover, if you are not willing to do correctly the little things in life, what will it compel you to agonize in prayer for the power you need to accomplish the great thing? This church has taken that small step in righting a wrong before the Lord, and it can only bring blessings. No doubt there is much work to be done still in the Chowcilla church, yet this seemingly small thing is truly a BIG thing, when we think about the roughly 95% other S.D.A churches who commit the Roman custom abomination in God’s house Sabbath after Sabbath. In other words this stance is breaking away from the prevalent cattle like herd mentality of following the Roman custom! SOP tells us that “those only who sigh and cry for all the abominations done in the church” will receive the seal of God (pure mark of truth). To be sure, the subject of tithes today is very deep and involves knowing where to tithe as well as how to collect tithes. But as mentioned by Inspiration above, the small steps must be taken first then advancement comes. But advance we must. If we don’t want to, we have the “need of nothing” Laodicean malady. In closing let us rejoice in this small but significant step. We are in the process of trying to get in touch with the leadership in this church and hope to encourage them to keep up the good work and advance further in the Lord’s way. A few weeks ago we were attending one of the local S.D.A churches in our area. It was your typical service complete with music, speeches, sermon and the usual money requests. But something happened that caught my eye, even more, shook us up a little. Allow us to explain. As we Seventh-day Adventists know, one of the primary customs of our service is the offering service. In addition to that we have the little kids request offering time. They are sent out among the crowd to gather small donations, usually dollar bills. Most often they are accompanied by an adult as many of them are very small with their little hands holding onto the basket, container or bag. As this part of the service began, We were sitting and watching the activity. Soon, a very small boy came up to us and he stopped at me and pointed his small basket at me. I looked at him and smiled thinking he would see that I would not contribute. But instead he kept the basket at my chest waiting and watching. It turned out to be almost one minute of his waiting and watching, he would not move on. At this point I placed my hand on his little shoulder and said “it’s ok, you can go”. The father came to our aid and moved him along. No doubt and as one would imagine I felt embarrassed and frankly a little disturbed by this scene. Thus, the reason for this post. Did you notice the word “squeezings”? This is exactly the method used today to extract money from the people albeit sometimes in the form of innocent little children! The fact remains it’s a –squeezing! Further, as the basket or bag is passed around many eyes settle on the next one to have it placed before them and we wonder what they will do. Is this not a form of extraction or coercion? Some may claim this is all “innocent” stuff, not something to make a big deal out of. After all the main purpose is to put money into God’s storehouse , so the end justifies the means. But is that really God’s way, His plan for us as “returners” of His money? 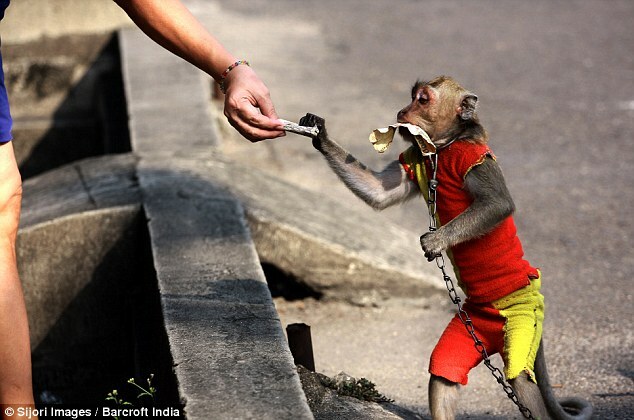 These little kids are being manipulated by the grownups just like this monkey–take money for the owners and not really know what they are doing! If we would do as shown throughout the Bible, a container placed in view for us to discreetly place our offerings we would definitely be giving without compulsion or pressure. God loves his type of giving. So what are we doing? We are teaching our little ones to do little abominations! What a way to bring up our children. The Lord shall soon rain down justice and one of the those righteous and just acts will be NO MORE of these abominations done in His house. “In order to eliminate money changing for tithe and offering, paying for books, etc. on the Sabbath, a Laodicean practice which the word of God condemns, let us carefully attend to all such matters on the first day of the week (1 Cor.16:2) by placing all monies in envelopes.” (Vol. 1 Symbolic news code, no.9, p.11). In closing, there is the more important aspect of this subject and that is returning our Tithes to His true storehouse. But that is a long discussion of itself. Our point here in this report is that we find ourselves each Sabbath doing an “abomination” and make no mistake this is not a little thing. Pressuring and compelling is not “freewill offerings”. God does not want this nor is God like us. There is no doubt that the great commission was present truth to the people of God then and indeed some day very soon again. However as we keep abreast of the Truth scroll, watching new instructions from the Lord, we come to His prophecy of sending “Elijah” to us (His remnant church) in the very last days (Mal. 4:5). As we know from Scripture, the original Elijah spoke a message strictly to his own people (Israelites) and not to the world. We also know that the Lord could have said He would send Noah or Enoch, for example, and thus the message would be meant for the world as they spoke to all the world. So that should tell us that the reason the Lord sends Elijah is because this is the message that we , as God’s people, need today. A warning and preparatory message that we MUST heed. Yes what are we to make of the long-held idea that the Gospel must go to the ends of the earth? There is no contradictions. First must this Elijah message go to God’s people to prepare for it to go to the whole world. Thus, we can rightly give the “Loud Cry”. 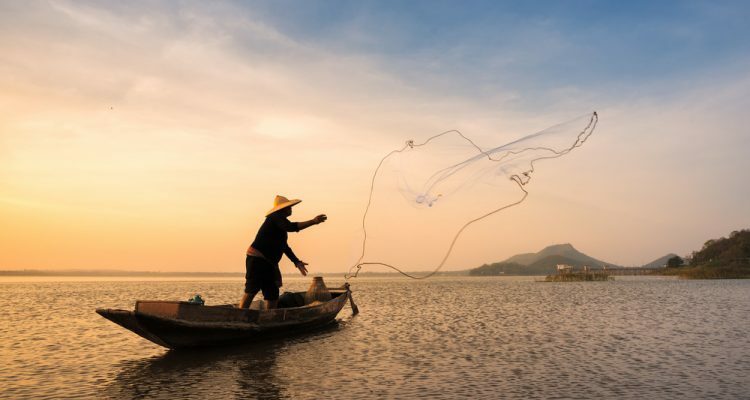 Ok let’s look at what we can do now to be “fishermen and hunters” to our own people, those whom the Lord tells us are –“wretched, miserable, poor, blind, and naked” (Rev. 3:17). It’s a very tough road to hoe. We need to be smart and wise as the Scriptures say (Matt. 10:16). Yet the Lord in His infinite wisdom has given us special tools today, unlike back in brother Houteff’s day when there was much more limited options for them to fish and hunt. Thus, we are compelled to use any and all options given us today , such as Blogs, Facebook groups, YouTube channels, websites, emails, phone, live studies. Let’s face it , we basically are either a “horse” or a coach rider, as the prophecy of Zech. 6 shows. The horses being the leaders, those who start and do actions to get the message spread. And we have the coach riders, not being so inclined to lead out. Yet even if we don’t take a more active stance we should be faithful Tithe payers to support the message. This is a REQUIREMENT OF ALL US PRESENT TRUTH BELIEVERS. “Note that not to the Levites, or to some other place or people but into God’s storehouse are the tithes and offerings to be brought. And for no other reason than that His storehouse may have the means to dispense spiritual food, “meat in due season.” These words definitely and positively show that the only support which the message of the purification for the church has for caring on its work is the tithes and the offerings from His faithful people; that in no other way could the message be dispensed; that in no other way could the expenses be paid. This is God’s reason for no plate passing now in our gatherings, for no money raising in any form, and for scattering our literature everywhere as the leaves of autumn without money and without price to the people. In other words, the literature, the ministers, and the Bible workers — those who bring the message of the hour to your door, are to be paid by the tithes and offerings that come to the Lord’s storehouse. God, therefore, asks His faithful people to gladly respond to His call and sufficiently to supply the need. He asks this not only for the prosperity of His storehouse, but for His people’s prosperity as well. Ok let us now look at some present day options we have to spread the message. Way back in 2009 when we were barely a one year old S.D.A member, we noticed our brother had been posting on his wordpress.com site. The Lord led us to inquire how to get one our self. Sure enough the process was quite simple and fast. Next thing you know Godsloveandlaw had begun. Today, we are so very thankful that the readership has grown tremendously. As we posted before, we did not learn of the Elijah message until May of 2011. Before that we posted S.D.A messages that were standard and much of it–milk. Meaning we did not delve much in prophecy due to the fact that such light was not known by us. Thus today we have taken great joy to spread the message of the hour, including very important prophecies, to thousands of readers yearly. This all can be done by anyone willing to take a little time and start a blog. It’s free and certainly a great way to reach those who hunger for truth. As we know, the Lord has opened this avenue to reach the people in our church because the church door has basically been shut to us for this purpose–truly sad! Another fine avenue is Facebook. Back in September of 2011 the Lord inspired us to start the Facebook group “Truth Tellers”. He has grown it’s membership greatly and today we have numerous activities going on there. We post studies, reports, updates about the work around the world, etc. To get your own FB group is also very easy and fast. Or you can come and join ours or one of the numerous other Elijah message proclaiming groups. This avenue really helps us “fellowship” with fellow believers, where we can freely discuss the Elijah message without being censored like we are in the S.D.A church. This avenue we find downright fun! To get your own channel is easy and fast. When we started back in November of 2012, we just kind of did a report on the spur of the moment. The Spirit of Truth really is using this avenue today. For example, we noticed recently a brother who started his own channel and what a true blessing it is to watch! These things are not happenstance brethren, these sites are gaining momentum and soon the time will be up for us S.D.A. Here is a way to publish the message in more of a “behind the scenes” way. Meaning sometimes people (coach riders) are less inclined to lead out and be more publicly seen. Here you can start a website just as we have done as shown below (sighandcry). Many have done this today and truly has helped the message spread. Below is a great example of how efficient and well-organized these sites can be. One of the long time-tested and relatively low technical skills methods. Meaning those who don’t know much about computers or online maneuvering can rely on this simple efficient method. It’s a sure way to interact and send the message to others in the faith. You can do as we do and develop a group of email addresses and send out a group email with a specific message or report. This way is more personal and one on one. Again one of the oldest tried and true methods for spreading the message. But today with the magic of technology we can set up a phone meeting or phone conference very simply and efficiently. The following information is what we use and often do a phone conference with between 10 and 20 people. Those who are without computer often appreciate this method. There are many blessings to this method. You can record the session and have it available for those who cannot come to the live meeting. They can playback by phone or a computer link. All of this is FREE! We’ve used it to post several of our studies on the aforementioned sighandcry site. The old method since antiquity. Our forefathers since humanity began, have used this method of live in person studies and so too today. But because of the churches pharisees we must use caution here. Often the studies go well until a Satan plant comes and starts trying to destroy the good that comes out of it. In live studies we must know who we are dealing with before we get started here. For a quick example we met a former SDA pastor as few weeks ago at one of our church lunches and shared some good conversation. But after we kind of jumped the gun and gave him a card with our Godsloveandlaw website. This can be too much meat for the unaware or it can cause to rise up prejudices because of the churches long time stance of rejection of the message. We wanted to get together with him but he showed no interest later so we mistakenly “ran ahead” and should have given him more SOP and Scripture before inviting him to have some live studies of the message. Long story short, we must use discernment before inviting members of the SDA church for live studies. This message is strong meat and they must be prepared for it, lest we blind them with the bright light. This live study method can be a blessing or a hindrance, depending on how you go about it. If the wrong person comes they can even go back to the Pastor or Elders and complain, then you’ll get the infamous “called into the office” treatment. Like our Master said we are among wolves here. 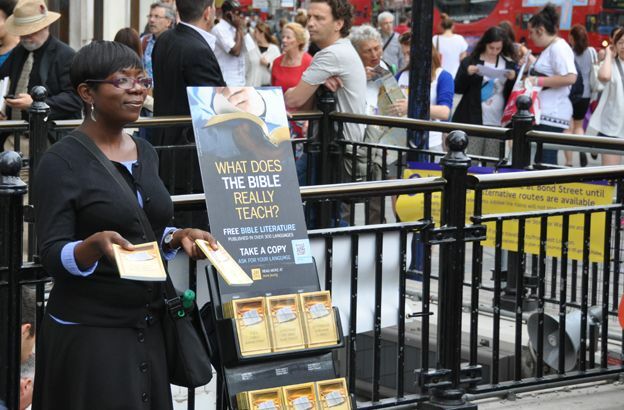 “Let every believer scatter broadcast tracts and leaflets and books containing the message for this time.”—CM 21. Listed above are some tools that make our work more applicable for today, let us use them if possible. Thank God we have many other options to scatter the message for this time. All we got to do is get down to business and become “fishermen and hunters”. “Let me now remind you what Inspiration has to say of the association of nations and peoples according to current events. For light on the subject we turn to the eighth chapter of Isaiah’s prophecy. Time will not permit me to re-study with you the whole chapter, and I do not think it is necessary, for we studied it not long ago. You remember that the chapter unveils a confederacy which ancient Israel, the ten-tribe kingdom (the church), made with ancient Syria, a sovereign power of the world, to war against Judah, a sister kingdom (church). Inspiration makes a type of that church and state confederacy, and by it definitely points out the trend which the nominal churches and the sovereign powers of the world are to take now in the antitype. It makes known, moreover, that they will not prosper in it…. From these scriptures it is seen that the current events brought about by the two opposing blocks, the east and the west, are not going to work out according to human planning, that the plans made by the confederation of nations and people are to come to naught except they consult God and take Him into partnership. “2. Violation of the Sixth Command (Ex. 20:13) — Which Prohibits Killing or Helping to Kill a Human Being. — And since, as our Declaration of Principles points out, our church members are among the citizens not merely of one nation but of all nations the world around, then should we, as brethren in the faith, in any way engage ourselves in war with any nation, we would be joining in a conflict in which it would be brother destroying brother in the faith. And in consequence we would be branding ourselves as murderers of the citizens of God’s coming Kingdom, and therefore as enemies of the Kingdom Itself. The pages of the Bible are replete with such Heaven-condemned perpetrations. Notable among them is the unholy alliance between the king of Israel and the king of Syria against the kingdom of Judah (the sister kingdom of Israel). The Scriptures concerning this alliance, not only prohibit a church confederation with any government that would involve brother killing brother in the faith, but also assure such a violator of a downfall from which there is no possible rising. “Since our supreme desire and purpose is to do all in our power for the triumph and preservation of both Christianity and Democracy, our duty is clearly and rigidly defined for us — faithfully to remain steadfast to the only Power that can bring about victory and deliverance of both the Church and the Government. If we are obedient to His Will, and if the Government itself neither interferes with us in the exercise of our duty toward God nor otherwise goes contrary to God’s Word, our country need have fear of nothing. God will as mercifully save her as He saved Nineveh, and as gloriously deliver her as He delivered, without a casualty, the hosts of Israel from Pharaoh’s armies, at the Red Sea. After reading this, let us look at the specific points concerning the “Confederacy”. before we do, we’d like to point out that today, even among us present truth believers, there is much confusion of this issue, for instance a brother recently posted his private ideas about this confederacy, saying that it means our S.D.A Church and also the D.S.D.A associations are joining up with the state to incorporate–hence the “confederacy”. There is a reason God sends us His prophets and that is “they” write the word of God and the clear meanings. Privateers run rampant today using all kinds of private interpretations for self justifications one way or another (exaltation of self, or their own agendas). Let’s look at each of these three Inspired references and see how they show what this confederacy is all about. We notice “two opposing blocks” are today formed, that being the “east and the west.” And the nations will be under a confederation, yet this plan will come to naught. Today, this prophecy is true, for we have United Kingdom –England, USA, Germany, France and Australia as the prominent western leaders and we have Russia, China, Iran, Syria, Turkey as the leaders of the eastern block. The western nations have the “nominal churches” and they as the anti-type, from the type Assyria and ancient Israel, point to the upcoming persecution against the pure anti-type Judah church (post Ezek.9 church). The nations around the world have confederated under the “United Nations.” And the serious student of today’s political atmosphere knows that NATO is but a tool for the one world elitist few rich men of the world and the Rothchilds empire based in Great Britain being the top leader. But we see that their idea (One world government ) is not to come about as they are envisioning. No, far from it! Daniel 11:45 shows us the Great Britain controlled elitists shall come to their end. They control the holy land today and this abomination is soon to be over. We see that despite the fears around us we shall not fear, only we are to trust in the Lord. We can start to see more specific instructions that should be self-explanatory. We do note that once again the term confederacy is used in conjunction with nations joining up militarily against God’s wishes. Granted the DSDA (Davidian Seventh-day Adventists) being the highest light bearers in the world today, are not concerned with any involvement. Not so with the S.D.A. Inspiration shows this confederacy is plainly spoken of as joining up with armed forces to engage in any battle around the world. And if we are a part of the confederacy (in the forces) we are complicit with all our services are doing. And make no mistake , in Syria for example, thousands of innocent lives have been taken directly by our USA armed forces in the guise of “helping the Syrian people”! We join this group, innocent blood will be on our hands! God help those thus blind to this terrible confederacy among us as professed believing brethren to awake! The private ideas such as the confederacy as spoken by Inspiration in Isaiah 8:10-13, means that we should not incorporate is clearly misguided and private and not supported by the Lord’s Elijah message. For one thing, the four angels are still holding the four winds back per Rev. 7:1-4. No influence including incorporation, government or otherwise, can be allowed to harm, block, or in any way interfere with the sealing of the saints (144,000). “Finally, since in the very reason of things nothing can be the result of happenstance, or sheer fortuitous occurrence, but rather everything must necessarily be the result of either Providential design or Providential consent, it follows that the existence both of our constitutional Bill of Rights (which made our country the greatest among nations), and of the derivative consideration and classification which now accrues from it to the faithful “conscientious objector,” is solely in the providence of God. Here we see our Lord giving a command to His disciples to “teach all nations” the gospel of Christ. This command has been one of the long-held biblical foundations of the Christian faith. However, we need to discuss this issue particularly as it applies to us Seventh-day Adventists, His remnant church today. As we have discussed many times on this blog the term “present truth” is just as it sounds– present truth. This Truth is our current road map to the kingdom. The maps of old, present truth from days of old, may or may not be “our” present truth. As we walk day-to-day in our Christian walk we are to advance in more and more light. This blog is an example of advancing light. On June 26, 2010, we posted how we must being doing this great commission to preach the gospel to all the world. But as we studied and desired for more light, we were “guided into all Truth” by the Great Promiser (John 16:13). I read it and immediately knew that he needed to know the present truth of the situation. As I read it, it reminded me of my prior understanding of Truth (Jesus). For I too was out to “win the world” for Jesus. We put on large billboards in our hometown, I went door to door after Sabbath handing out flyers of 3 ABN and our church. This week as I was reading some New Testament Scriptures I came across a familiar text that we as believers have read many many times. As I read this, it took on a whole new fresh meaning. Suddenly I saw it as never before. Allow me to explain. The Lord is showing that it is He Himself who He is describing. For it is as a” thief” He will be coming. Next we see that only those who are “watching” will be prepared. And if we don’t our whole house will be broken into (our life destroyed.) But watching for what –the Lord coming in the clouds? That is not how the “thief” will be coming next. 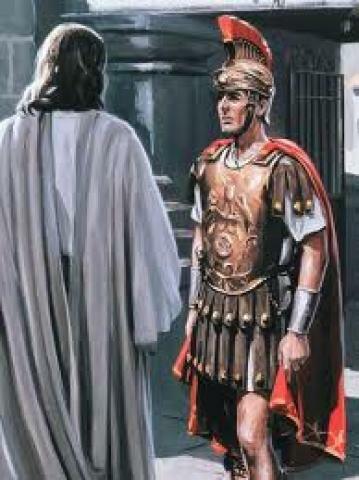 We as present truth believers know He will come “suddenly to His Temple”-His church (Mal. 3:1). This next part is very very important to concentrate on. Our Lord then shows us who it is that is “faithful and wise”. And to him He makes “ruler over his household”. It is those who are giving “meat in due season”! And those servants will “rule over all his goods.” Is this not a great promise to those who read these things and heed them?! But did you catch the meat of the text? The Lord is telling us to dispense meat in due season– present truth! “The mission to save the world cannot be more important than the mission to save the church. Enlarging the church membership under the now prevailing lukewarm Laodicean conditions could no more advance the Kingdom of Christ than could have been done under the condition in the Jewish church in the days of His first advent. Understanding the true situation in the church, John the Baptist and Christ Himself and even the apostles at first, engaged them selves to work, not for the world in general, but only in the interest of their brethren in the church. As the same departure from Christ exists within the church now as it did then (Testimonies, Vol. 5, p. 217), it will take much greater effort to rescue the people from the Laodicean “sad deception” (Testimonies. Vol. 3, p. 253), than if they were in heathenism. For in Laodicea they are made to believe that they have all the truth there is to be had, that they are rich, increased with goods, and in need of nothing,—their salvation forever secured as long as they hold membership in the church. Wow! Do we understand this? There is “greater risk of their losing their souls in the church..than if they remain in the world..” ! We need to understand that there is great accountability upon joining God’s people. It’s not “fun and games” as so many in our church think today. Our shepherds have so thoroughly given a peace and safety message that the “meat” they are dispensing is worse than the quail given the people in the desert during Moses’ day! The same dire result will happen lest we wake up and start giving the people their “meat in due season”. “..to devote our time to evangelizing the world while neglecting the church, would be a criminal act, one of highest treason both to God and to His people. 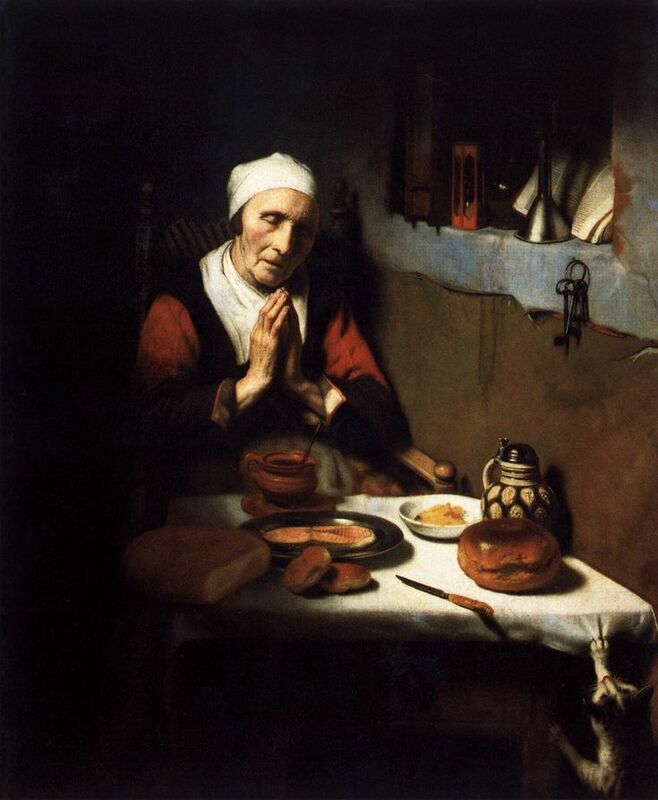 The church must first be saved from her Laodicean condition of being “wretched, and miserable, and poor, and blind, and naked.” She, not the world, is just about to be spued out. She “is the only object on earth on which He bestows His supreme regard.”-Testimonies to Ministers, p. 15. How can we be practical in dispensing meat in due season to our church? We can get to know members in our church and have Bible studies. Specifically studying present truth such as Revelation, Malachi, Ezekiel, Isaiah, etc. We can suggest to them present truth sites proclaiming the message. We can suggest to them YouTube videos proclaiming the message. Make business cards with our name/number to pass out to our friends in the church in case they want to get together for studies. We can start our own blog website and put links on it to the different recommended present truth sites. If we are short on available time we can begin paying Tithes to the present truth organizations, and thus be found giving meat in due season by our financial faithfulness. Ah, the meat in due season can be found there due to the financial faithfulness of His true servants! Those who know where present truth is coming from. If we as Seventh-day Adventists think that our Tithes going to the current General Conference/ local SDA church is producing “meat in due season” then we have a seafront property in Arizona we’d like to sell you. In closing, in the parable above we see that the Lord is coming as a thief and that He will bless those who He “finds” giving meat in due season. Will you make a commitment to support and get going with your dispensary? Once in a great while, people are blessed and encouraged to meet a person who has “walked the walk” as well as “talked the talk” all their life. We’d like to introduce you to a very special woman, someone who has “fruit” of which any true-hearted Christian can recognize. So the Word tells us in two specific examples that we can know who truly has the “seal” of God. What a blessing and promise to those who are truly striving to make Christ the center of their life, to have such discernment! Her name is Bonnie Smith. She is 85 years old now. At the end of this post you will be able to see a video of her just a few days ago, taken when she was invited to a Los Angeles church to testify of her Christian experience (She lives in South Carolina). One that very very few people have had. Let us give you a little history of our sister. She is one of only two known survivors today, to have lived on the original property, known as Mt. Carmel, in Waco Texas. As far as anyone knows, sister Bonnie and a man known as Don Adair, are the only two active living proclaimers of the message who lived on the property. She came with her family in 1936, one year after the beginning of the “camp”, as it was known back then, was established. She was but a small child. So her young life was an upbringing in the counsels and teachings of Victor Houteff, who many today believe was the prophesied “Elijah” to come as spoken of in Mal. 4:5. It is a well known fact that the “camp” was a model of pious Christian living, all was orderly, clean and everyone contributed. The present truth message was given often through the chapel on the grounds. The printing press was going almost non-stop, as brother Houteff worked tirelessly to give what some of us know as the last message to the SDA church. So as with all true Christians, brother Houteff walked the walk. He oversaw a camp that held to all the reformed ways of living as outlined in the Bible and SOP. This was a matter of careful obedience. And those who lived there showed it! Dress, worship , proper Sabbath adherence, etc. all was a way of life on the camp. Today, we as present truth believers have much to be thankful for to sister Bonnie. She collected numerous photos of the old days and her knowledge of the message is still quite good. She keep many of the original writings of the message and has been very instrumental in their preservation. When you open the photos take a close look at page 8, you’ll see that when the photo came out, the lights above the main office showed a cross appearing above the masonry clock. I have coordinated a couple of phone conferences with her and many people have been blessed listening to her describe some of the events and happenings that took place back in the day. She tells of the many miracles that occurred, the true love that those on the camp experienced as team players of one accord for the Lord. Their utmost respect and admiration of the man they came to know as the last prophet to our SDA church– Victor Houteff. Of course one can really never know these things unless one experiences it and decides to read the message carefully through and through. Afterall those who don’t put credence in the Lord’s word, that He will send a last day prophet “Elijah” just before the great and dreadful day of the Lord, are going to miss out on what was sent by our King. But not the case with sister Bonnie and other devoted families that lived upon the camp. Obviously nearly all have passed away, yet God has preserved this one special lady that we may be encouraged and see her fruit, and that it is good indeed!